Zoinks! Creepy creatures are haunting the Mystery Inc. gang, and they need your help. So get sticking! 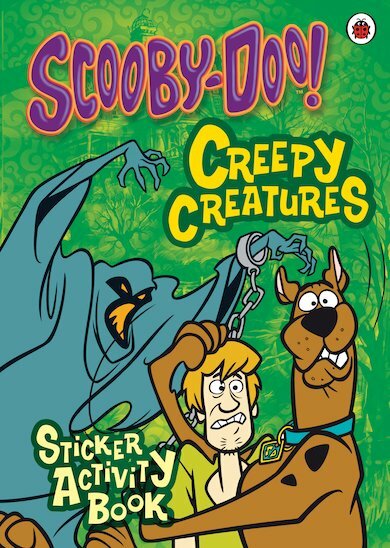 Scooby’s surrounded by zombies and ghouls, and he needs to be rescued. But where is he? A creepy circus spectre has escaped. Can you lead him back to where he belongs? Can you help Velma to crack a code, and cook up a Scooby Snack for hungry Shaggy? And can you do it all while you stick in stickers too? A book of activities, puzzles, brain-teasers, stickers, freaky beasts and creepy creatures!